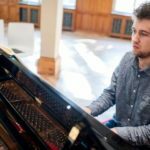 Described recently in the Observer as a ‘tremendous young conductor’, and recipient of the 2012 Leonard Ingrams Memorial Prize from Garsington Opera, John Andrews is increasingly in demand for his musical fluency, passion and skill. He is Music Director of Stanley Hall Opera, and is a frequent guest conductor of the English Symphony Orchestra (with whom he will close this year’s English Music Festival with Sir Arthur Sullivan’s The Golden Legend). 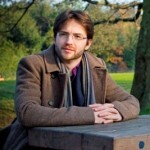 He has conducted several productions for English Touring Opera, is on the music staff at Garsington Opera, Chorus Master of the Norfolk and Norwich Festival, a resident conductor at Opéra de Baugé, and this year conducts The Mikado for Co-Opera-Co. For more complete and up to date information follow the link above. Richard is musical director of The Hythe Singers, the Wallace Singers, Teatime Opera and APP Singers, He is assistant conductor of both the St John of Jerusalem Festival Chorus and Dulwich Chamber Choir, and is European musical director for RelaxSing Tours. This summer (2016) Richard was chorus master for La Bohème with Opera Holland Park. Richard runs youth choirs for Northbridge House School in Camden and is one of the artistic directors of the Voices of London Festival. Richard graduated with an MA in Choral Conducting from the Royal Academy of Music, receiving the Thomas Armstrong Prize. He read music at, and was organ scholar of Fitzwilliam College, Cambridge, where he received the Swinburne Prize. Current projects include an opera based on Schumann’s song cycles entitled Unknowing and Der Diktator with Teatime Opera, and Fire Ring at the Grimeborn Festival. 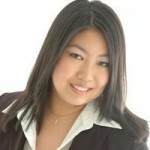 Louisa Lam is currently freelancing in and around London as an accompanist and piano teacher. She has previously studied at the Royal Academy of Music, King’s College London, and Guildhall School of Music and Drama. Louisa is proud to be a part of Yehudi Menuhin’s Live Music Now! scheme which focuses on outreach work, aiming to bring music alive to a wide variety of audiences. Louisa has performed as soloist and accompanist in many venues across London including the Barbican Hall, Wigmore Hall, Southwark Cathedral and St Martin-in-the-Fields Church, as well as further afield, including the Auditori Winterthur in Barcelona and Musica Eboræ in Portugal. 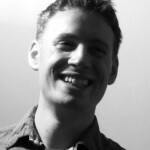 Will Gardner has worked for a number of choirs and ensembles in London and Berlin, including Berliner Rundfunkchor, Karl-Forster Chor and The Royal Opera House Community Chorus. He holds an L.R.S.M. in Piano Performance and a degree in Music from Cambridge University. As an orchestrator Will writes and arranges scores for various artists including Matthew Barney and Mercury Prize winners alt-J.